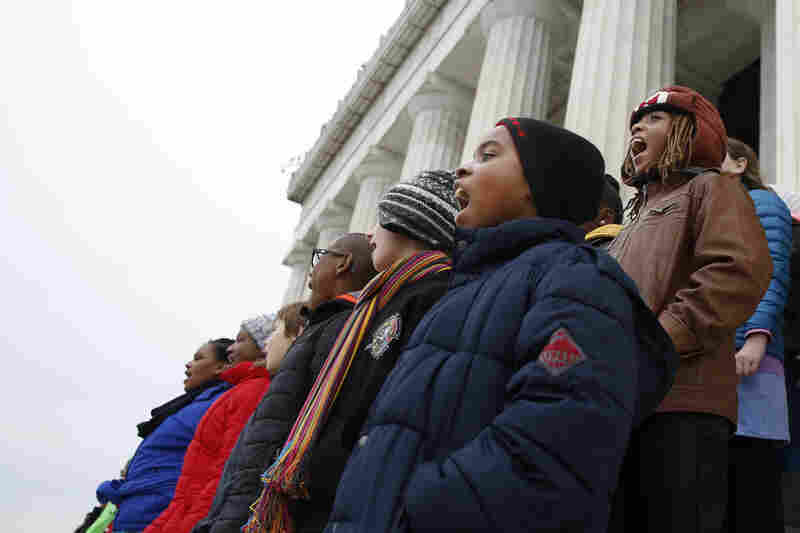 Fifth-Graders Revisit King's 'Dream' Speech At The Lincoln Memorial : NPR Ed Students from Watkins Elementary School in Washington, D.C., gathered to honor the civil rights leader. 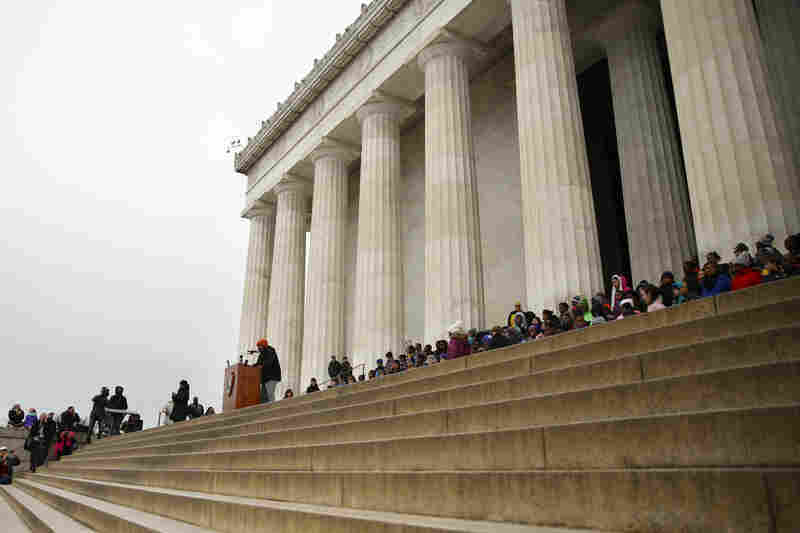 Listen to fifth-graders reciting "I Have A Dream"
Fifth-grade students recite Martin Luther King Jr.'s "I Have A Dream" speech on the steps of the Lincoln Memorial in Washington, D.C. 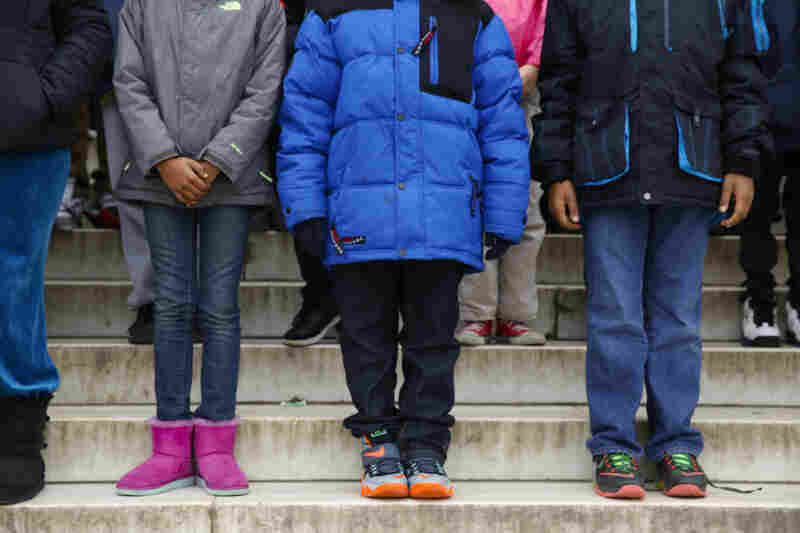 Waiting to speak, they look out over a crowd of classmates, parents, tourists — and cameras. 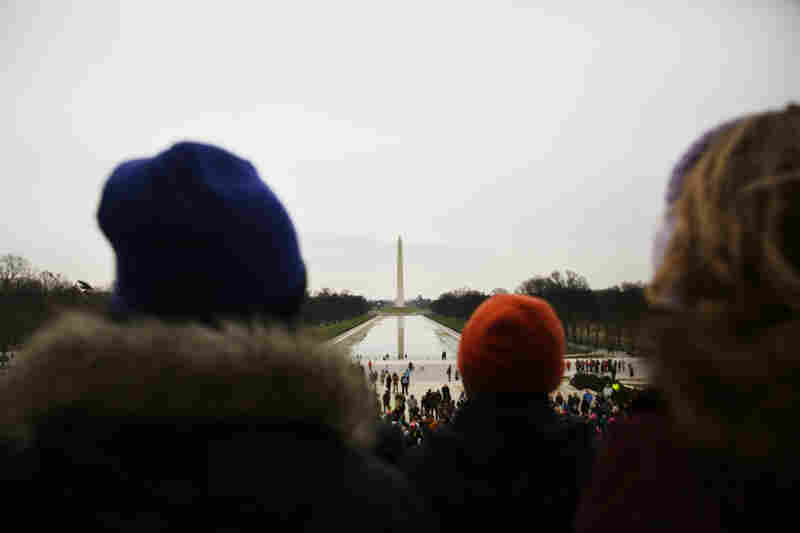 Each child memorized one small phrase from Martin Luther King Jr.'s speech. They're standing in the order that they will deliver their line. After speaking (or, more often, shouting) their lines, the students run back to congratulatory teachers. After the speech, the whole class sings three civil-rights-inspired songs together, including "We Shall Overcome." 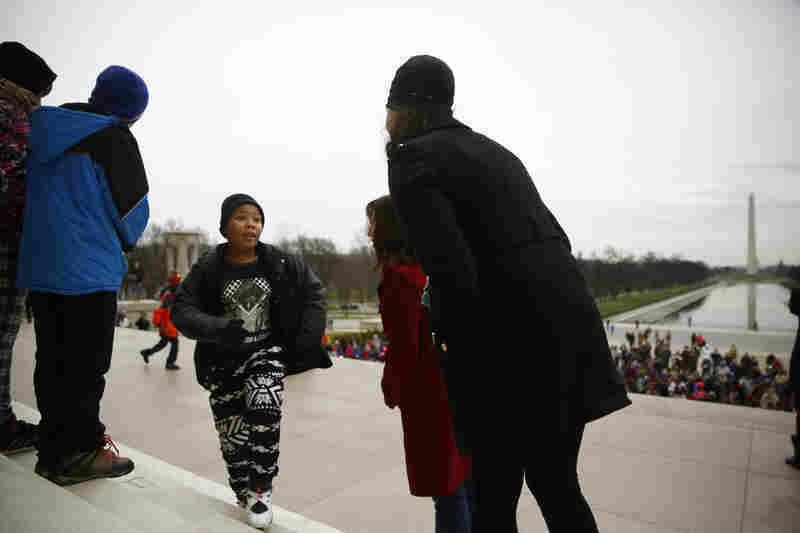 On Friday, the fifth-graders from Watkins Elementary School in Washington, D.C., gathered at the Lincoln Memorial to recite Martin Luther King Jr.'s 1963 "I Have a Dream" speech. Each student delivered one line at a small lectern, and then the class sang songs from the civil rights era. This is the 14th year of the celebration.